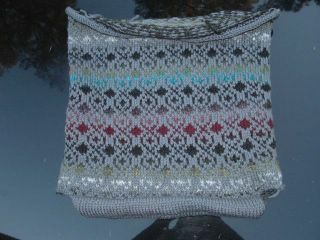 The almost completed purse. I have to finish the bottom, make the straps and felt it. This has been a really quick knit now that I can finally knit 2 color stranded with 2 hands. This is a close-up of the KISS.